DWL is the leader in Enterprise Business Services software, an emerging class of services-oriented applications. 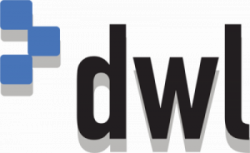 DWL works with organizations worldwide to address enterprise-wide customer data integration (CDI) strategies using DWL Customer, the leading enterprise customer data hub. DWL Customer gives organizations a unified view of their customer across multiple product and business silos. It delivers this single, real-time view and update environment to all channels, enabling multi-channel integration and consistent customer service.